Mayor David J. Narkewicz announced today that Phase 2 of the city's renovation and expansion of Pulaski Park will begin construction on Monday, October 3, 2016. 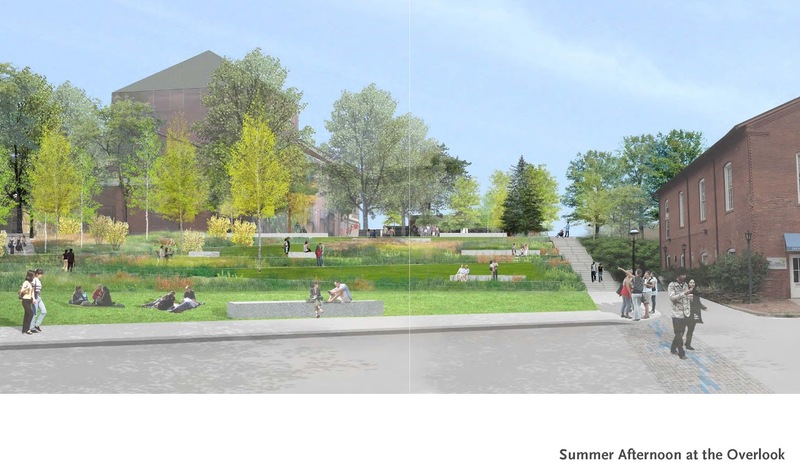 Phase 2 involves the creation of a new Overlook area at the rear of Pulaski Park. 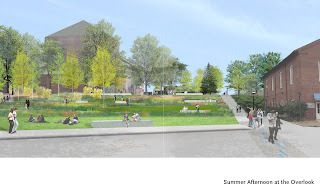 The Overlook will expand the overall size of the city's downtown park by over 25% while greatly improving its connection to the adjacent Roundhouse Parking Lot and New Haven-Northampton Rail Trail through an improved stairway and handicapped accessible switchback path. The project will also make improvements to the area of Pulaski Park behind the Academy of Music Theater. The City of Northampton awarded the bid for Pulaski Park Phase 2 to MASS-WEST Construction, Inc. of Granby, MA for $965,000. The project is funded through a combination of the city's Community Preservation Act (CPA) dollars and a $400,000 Parkland Acquisitions and Renovations for Communities (PARC) grant from the Commonwealth of Massachusetts. Pulaski Park will remain open during the Phase 2 construction, but the rear of the park and a section of the Roundhouse Parking Lot below will be fenced off by the contractor. There will also be a temporary reduction in parking spaces in the Roundhouse Parking Lot during construction, which is projected to be complete by May 2017.